Month-by-month New England weather, events, holidays & festivals: Connecticut, Maine, Massachusetts, New Hampshire, Rhode Island and Vermont. 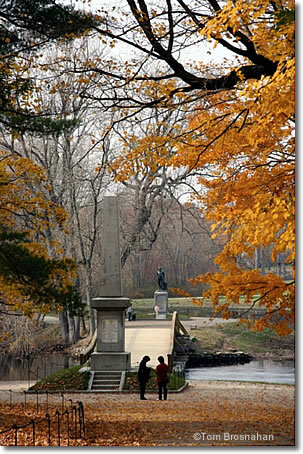 Spring and summer arrive earlier in the south, autumn and winter in the north. Temperatures are always cooler in northern New England (Vermont, New Hampshire, Maine), than in the south (Massachusetts, Connecticut, Rhode Island). The greatest contrast in temperatures is between the higher elevations in the north (such as Mount Washington), and the southern coasts (such as the Connecticut Shoreline). Summer is beach time: Annisquam Light from Wingaersheek Beach, Gloucester MA. 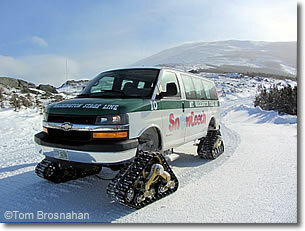 Snow coach on a winter ascent of Mount Washington, in New Hampshire's White Mountains.